ESPN columnists and on-air personalities Michael Smith and Jemele Hill to be celebrity DJs on the streaming-music service. Perhaps to remind streaming-music fans that Apple Music isn’t the only service with live DJs, Slacker Radio today announced the launch of a new celebrity music station in cooperation with long-time content partner ESPN. 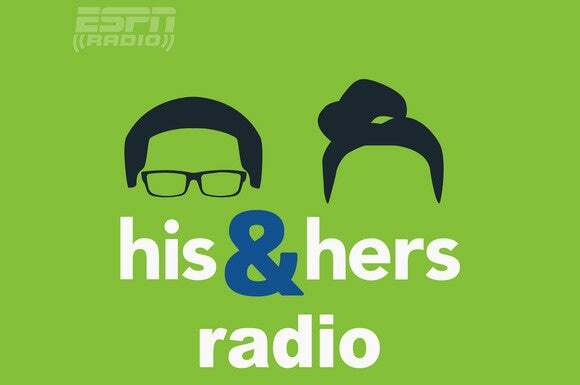 Columnists and on-air personalities Michael Smith and Jemele Hill will host a new station called His & Hers. Fans will know the couple from their ESPN podcast of the same name, but this new show is not about sports. Nor is this Slacker’s first curated music station; the service has always positioned itself as a soulful alternative to Pandora’s algorithm-driven approach to Internet radio. Slacker’s strategy of tempering an otherwise typical online experience with a bit of human touch has seen it add hundreds of “hand-crafted” stations over the years. The company also offers non-music content, including news and sports stations from the likes of ABC News and ESPN. His & Hers, however, is all about music. Slacker says the station will feature some of the duo’s favorite tunes, which are mostly mostly romantic R&B deep cuts and slow jams from artists such as Prince, D’Angelo, the Isley Brothers, and R. Kelly, among others. “Grown folks music” is how the duo describes it. 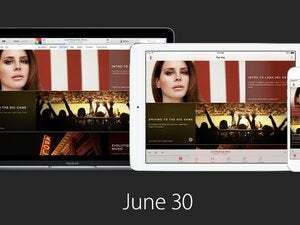 Why this matters: Seeing as how the media is flooded with news and analysis swirling around Tuesday’s Apple Music launch, you’d be forgiven for thinking that other streaming-music services had packed their tents and gone home. Slacker, for instance, has amassed 35 million registered users across its three service tiers: Free, with ads and limited skipping; $3.99 per month to get rid of the ads and skip limits; and $9.99 per month to get playlist creation and offline listening. And Slacker isn’t considered to be one of the big boys in this space.